Private investigators are somehow involved in the Richard Oland murder investigation, a court hearing has revealed. Who hired them and why remains unclear. But their inquiries may have interfered with the Saint John Police Force’s investigation of the two-year-old case. The information was revealed during a hearing on Friday on whether to release closed-door testimony from last summer by the lead police investigator. 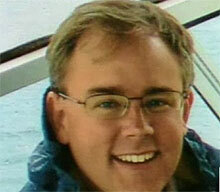 Richard Oland, 69, a prominent businessman, was found dead in his uptown Saint John office on July 7, 2011. No charges have been laid, although Police Chief Bill Reid has said he expects charges to be laid this year. Previously-released documents identify Oland’s son Dennis as being the prime suspect and suggest a possible financial motive. Gary Miller, the lawyer for Dennis Oland, had asked certain sections of Const. Stephen Davidson’s testimony be blacked out before being made public. The specifics of those sections were not discussed in court, but Miller did use the term “P.I.” at one point. David Coles, who is representing CBC News and Brunswick News in a bid to have the court transcript of the officer’s testimony released, did not divulge any details about the sections in question either. But he suggested they somehow relate to a December 2011 decision by provincial court Chief Judge R. Leslie Jackson to keep search warrants related to the case sealed for another six months. In that decision, Jackson said one of the people police had interviewed as part of their investigation was subsequently approached and questioned by another person the witness believed to be a police officer. Although the witness was initially co-operative, they were upset when police asked for a second interview, Jackson had said. “Co-operative witnesses have become less so and that’s the allegation of compromising the investigation,” said Coles. The media outlets are concerned the judge’s decision may have left the perception they were somehow involved, he said. They have a “particularized interest in not being seen to have done anything wrong,” said Coles. But there is also a “strong public interest in whether or not ant any point in the past the investigation has legitimately been interfered with,” he said. “There is no justification anything dealing with this topic be shielded,” he argued. There is no evidence releasing the information now would interfere with the investigation, he said. Coles urged the judge to “use a scalpel, not a broad sword” in deciding what information to redact. The test is not whether it’s important, but whether releasing it could compromise the integrity of the investigation, he said. Only so-called hallmark information that only the killer would know should be withheld, Coles said. Coles noted some members of the public recently interviewed by CBC News are questioning why no charges have been laid two years after Oland was killed. “It has raised suspicions of the man in the street there may be some miscarriage of justice,” he said. Releasing as much information as possible will hopefully reassure the public “this court and this process is open, transparent and operating as it should be,” Coles said. He said he recognizes the media have a job to do, “but it doesn’t run paramount, it doesn’t run roughshod over what the courts have to do,” he said. Hallmark evidence is not stagnant; it’s not just hard, physical evidence found at the crime scene, stressed Henheffer. The judge released redacted copies of the officer’s testimony Friday, as well as redacted copies of a search warrant and two production orders from last fall. The documents reveal police are conducting a forensic audit of Dennis’ finances, with the help of a forensic accountant with Government Services Canada. Previously-released documents describe Dennis as being “on the edge financially,” owing his father more than $500,000. The judge is expected to render a decision on whether to release any more of the blacked out details by Oct. 4.